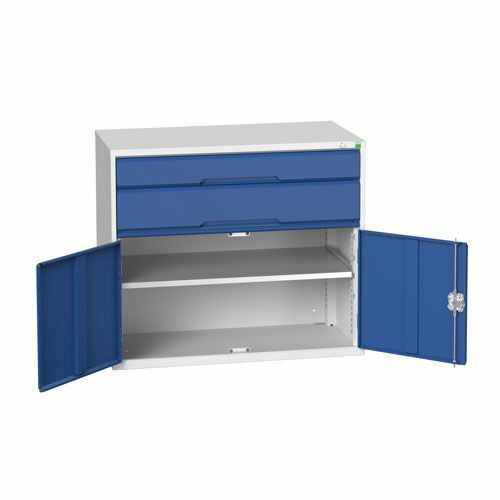 Drawer has 100% roller bearing slides for ease of action under full loads, and allowing easy access to the entire drawer. Scuff-resistant shelving is adjustable on a 25mm pitch. Smart, powder coated finish is both resilient and professional in appearance. Different sized drawers and a shelf give this steel cupboard plenty of tool storage flexibility.